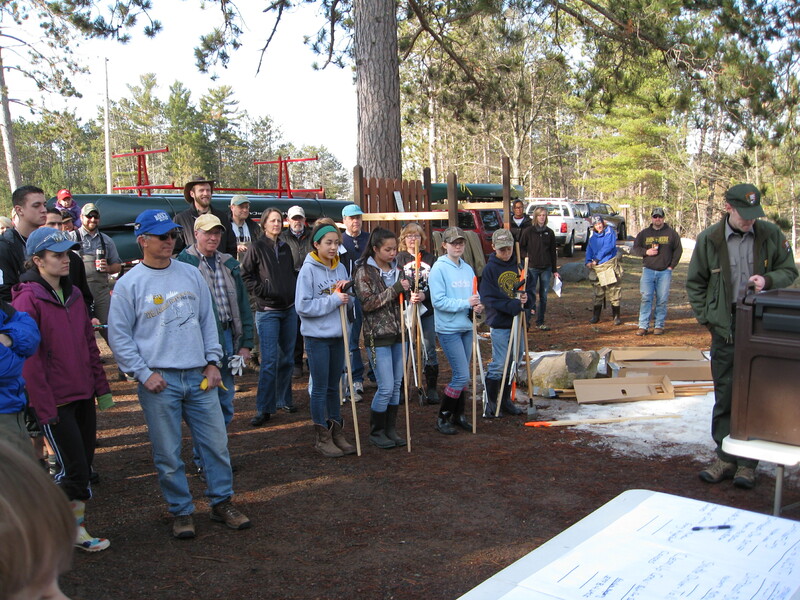 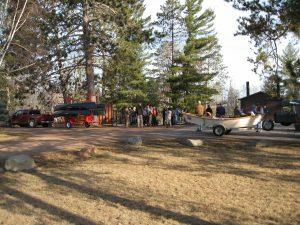 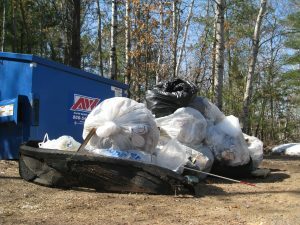 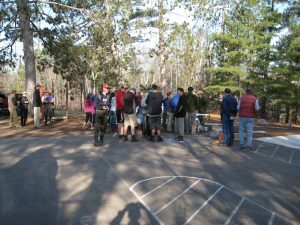 Thanks to your amazing volunteer effort, the 2nd annual Namekagon River cleanup on April 27th was a big success. 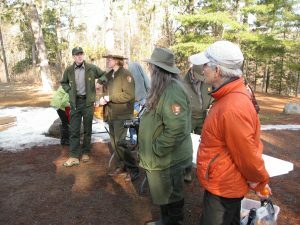 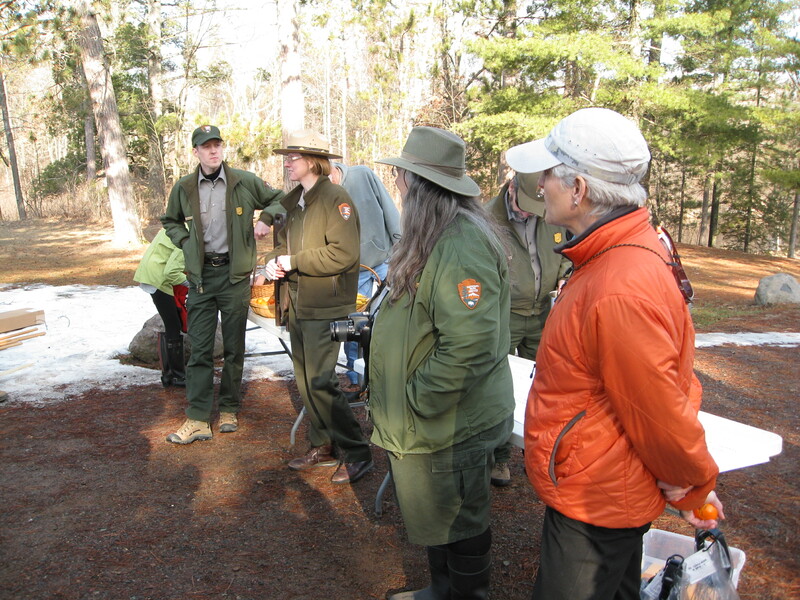 It was a great way to celebrate National Park Week with our friends at the St. Croix National Scenic Riverway. 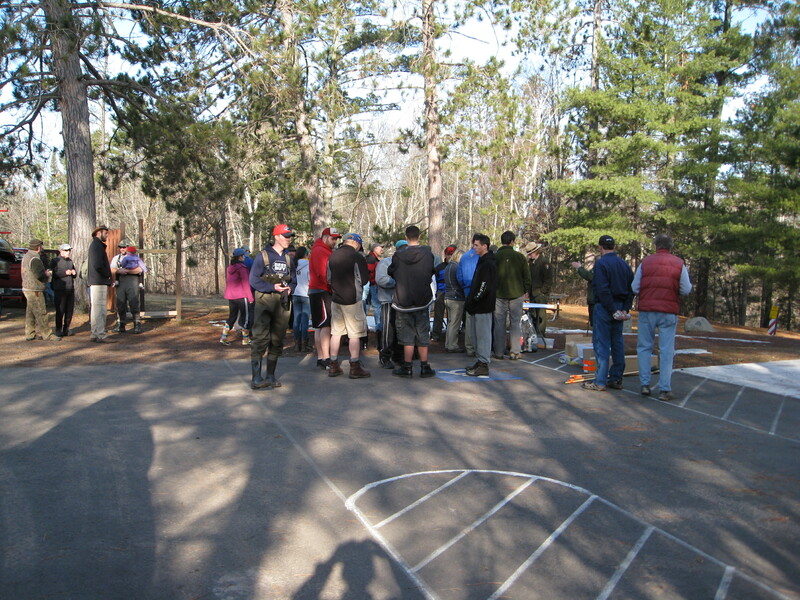 The weather could not have been nicer. 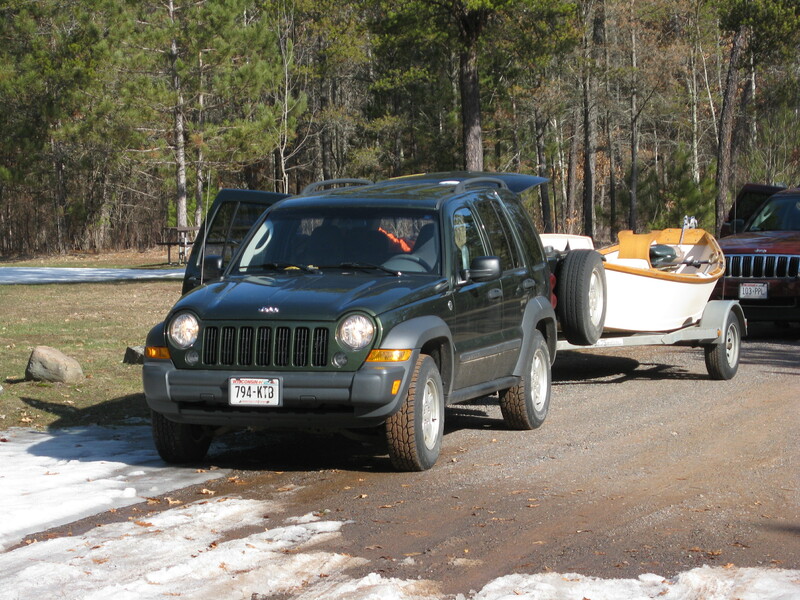 While winter still ruled only a week earlier, it was warm and sunny – a perfect day to be on the river. 65 volunteers gathered at the Hayward Landing for a safety briefing, a little conversation, and work assignments early Saturday morning. They were split into four work crews, with a drift boat and river guide leading canoes for each group. 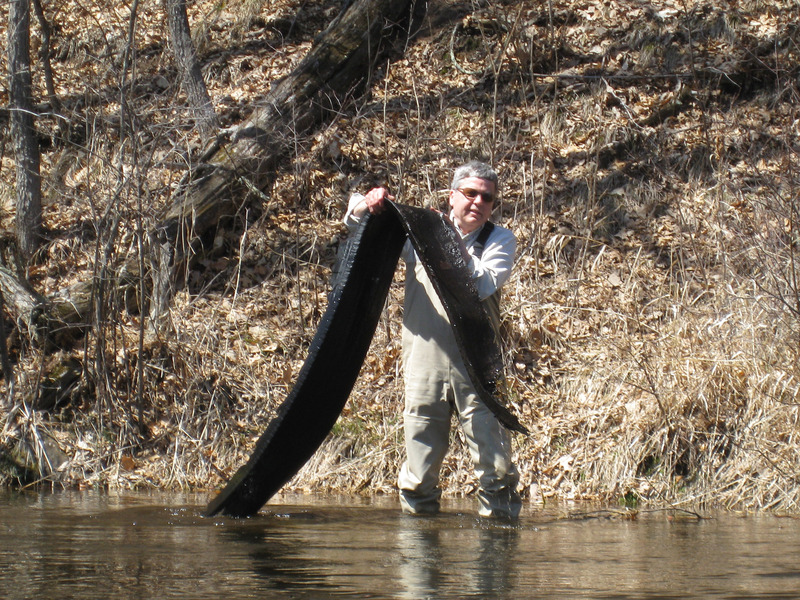 Thank you Hayward Fly Fishing Company for your support and commitment to community stewardship of the Namekagon River. Canoes were provided by the Canoes on Wheels program. 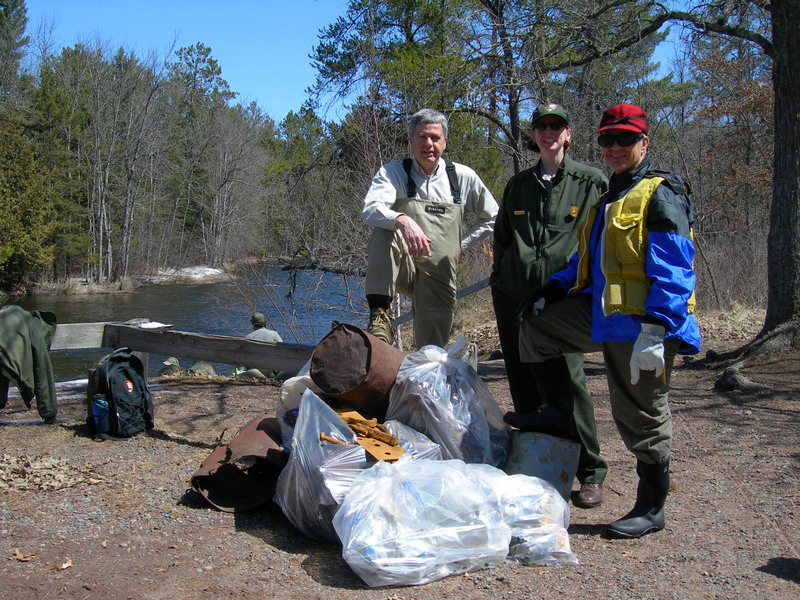 National Park Service staff joined in with the cleanup effort as they are also passionate about the river and enjoy its pristine condition. 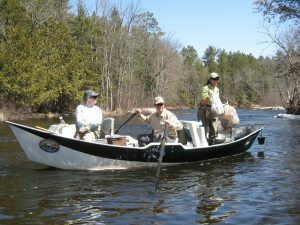 Branda Thwaits (second from left) from the National Park Service, and Wendy Williamson (on the right) from NRP coordinated this river cleanup project. 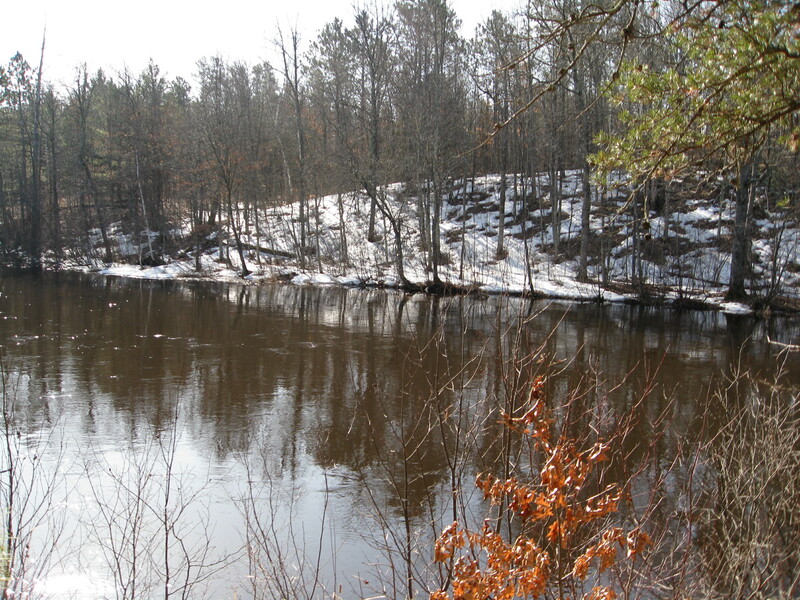 The Namekagon River was running bank-full as the winter snow melt was still in progress. 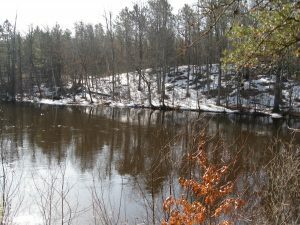 The river was active with waterfowl, eagles, and wildlife – even some Sandhill cranes were sighted. 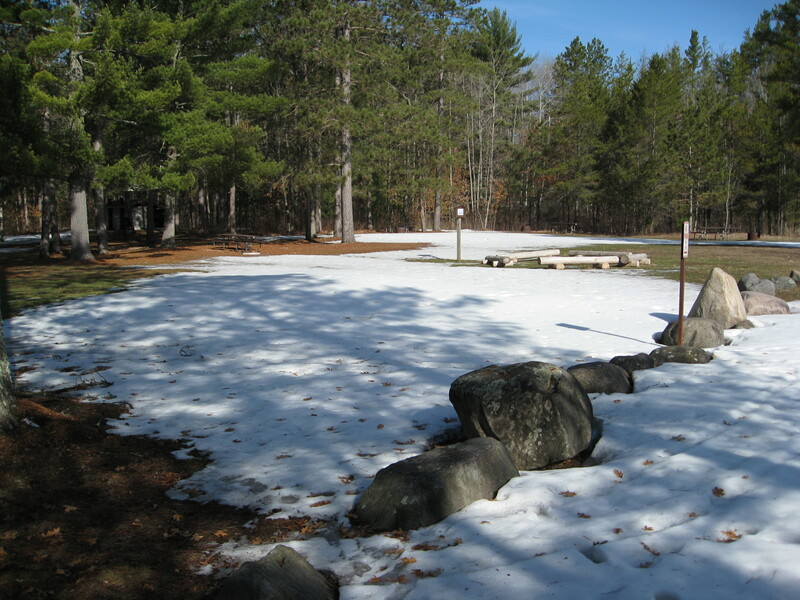 All the landing were open, except for Big Bend which still had a foot of snow covering the area. This photo of Earl Landing shows that winter was relinquishing its grasp. The cleanup crew working the reach from Earl Landing to the Trego Landing arrived, eager to get the boats out on the river. 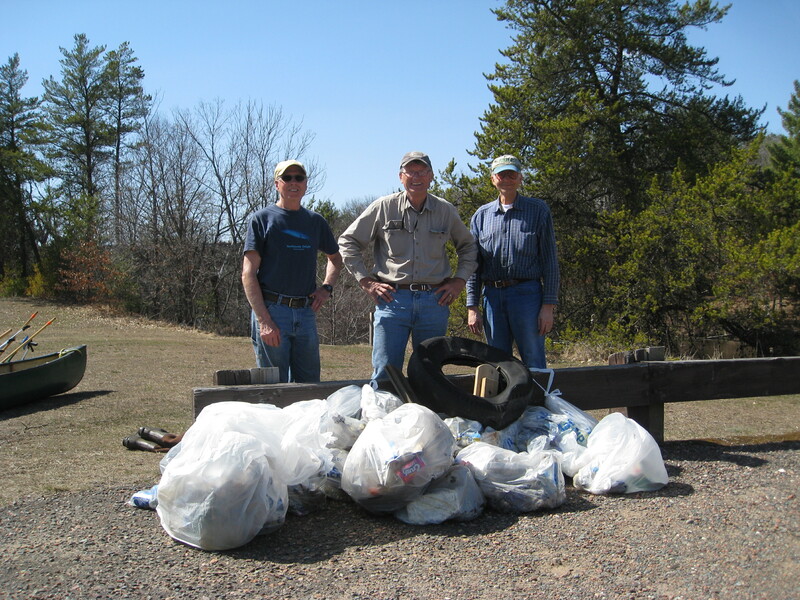 This crew picked up a load of trash that would fill a pickup truck – mostly beer cans. Please use our river responsibly. 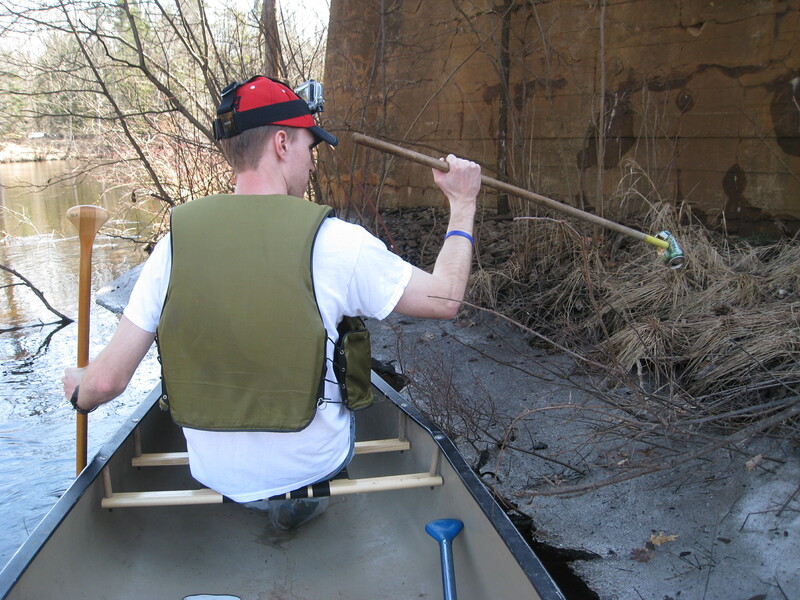 We are happy to clean up the river and shore lines, but we would prefer to just paddle and enjoy nature.